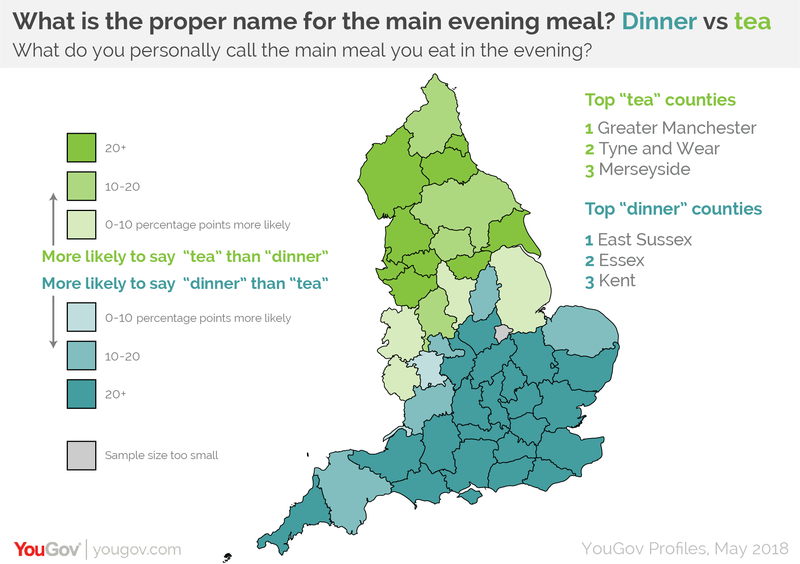 I love this map showing what the main evening meal is called in various parts of England. I love it because there’s such a definitive line right across the middle of the country. Basically, up North, it’s called “Tea”, and down south, it’s incorrectly called “Dinner”. Down in South Africa, being a ridiculously long way into the second category, it’s also known as dinner, and it’s something that I’ve had to reluctantly adopt merely so that other people can understand me. Still, it will always be tea to me – even when I’m eating dinner.